Contact Kelowna Seniors Home Support today! Whether the appointment is for a visit to a doctor, or an appointment to see someone, or go somewhere, sometimes it just feels like such a hassle, from getting ready to transportation issues to get there. Do you, or your parent or loved one if you are checking out our services for someone else, sometimes forget to keep your appointment due to forgetfulness, dementia or the early onset of Alzheimer symptoms? Kelowna Seniors Home Support homecare team members can help you stay on track with such things as Doctor appointments, errands or even just daily routines. Keep track of your appointments and make sure to remind you of an upcoming one. Help you get ready for your appointment, from getting dressed to eating a meal before leaving. We will accompany you to your appointment. 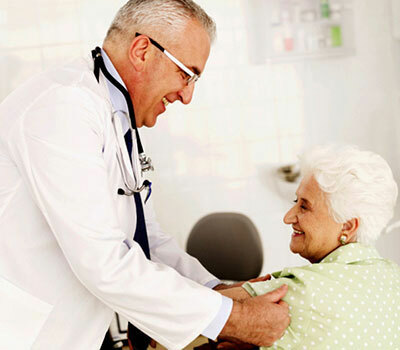 In the case of medical appointments, we will familiarize ourselves with our client's physical ailments before going to the doctor's appointment, in order to be able to share important information with medical staff. Take notes during the appointment, so that whatever is discussed and can report back to the families, when applicable, or simly remind the senior whenever needed. Please feel free to contact us if you feel we can help you or your loved one with any of the above - we can help as often as you need us!